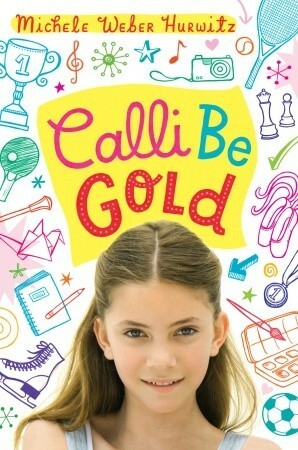 Calli Be Gold is Lovelace nominee choice which will particularly appeal to young female readers because Calli is such a genuine and convincing character. The youngest of three siblings, Calli’s older brother is a basketball star and her sister is a member of a competition synchronized skating team. Their calendar at home is covered in post-its, color-coded to match each individual and his or her activities. There are few post-its on the calendar for Calli. Her father, especially, pushes her to try activity after activity in an effort to find something at which she excels: her passion. Calli doesn’t have a passion for anything exclusively and she feels out-of-place within her own family. A lot of young people (and adults too, for that matter) can identify with the feeling that he or she isn’t “good” at anything special. There is a lot of emphasis on “success,” “winning,” and high scores in both academic and athletic arenas. Calli helps us all to realize it’s okay to have your passion be compassion for others, laughing with friends while sledding down a hill or simply a quiet cup of hot chocolate while curled up in a big comfy chair with no scheduled appointments for an afternoon. So much of growing up, and continuing to grow as individuals even when we are adults is rooted in finding our own unique voice in a world that can often be VERY LOUD. Calli Be Gold is a independent or read-aloud choice from the Lovelace nominees which offers the opportunity to spur a discussion about these very things in a classroom or a family.